An active-duty officer, decorated with three Bronze Star Medals—one with valor for acts of heroism in a combat zone—FN was sent to “The Valley of Death” to extract soldiers who had been in constant battle for nearly a year. This was no ordinary mission. The threat was high, as over 40 Americans had been killed in action by a fierce Taliban enemy. FN was inserted with two Special Forces teams into an extremely hot landing zone encompassing over 200 Taliban fighters in the surrounding area. The enemy forces executed over half a dozen complex ambushes with rocket propelled grenades, heavy machine gun fire, and small arms fire from higher ground. Immediately, FN brought fire from the sky with bombs bursting and blasting the enemy. For over 72 hours straight, he fought for his life. Faced with the reality that he and his men were outnumbered, he made a command decision—a deal with God. FN was able to return home safely with his men, but the battles he would face back on U.S. soil would prove to be the most difficult yet. 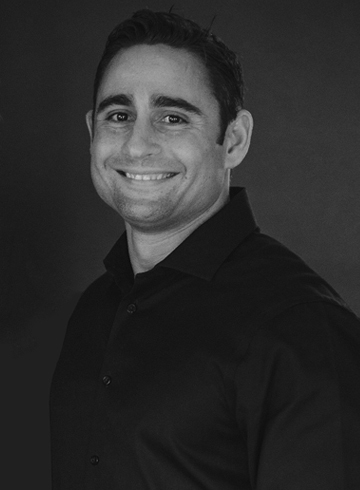 Successfully transitioning out of the military service through a program called “The Honor Foundation” BR, like so many others, struggled every day to find his sense of purpose. Difficulty is not uncommon to this former SEAL. At the age of 8, BR was diagnosed with a rare disease in which the hip socket deteriorates. He hobbled along for a year before receiving leg braces and crutches which he was on for over a year and a half, his arms became strong but had no use of his left leg. After several experimental procedures and surgeries, BR was confined to a body cast for two months. Slowly and painfully, BR developed the use of his leg, but the hip grew back deformed and he could not walk. Enduring the taunting of his fellow classmates for years nothing could relieve him of his emotional or physical pain. This turned into an anger for BR, deep within that fueled a desire to be normal, to prove people wrong, and do things by himself. 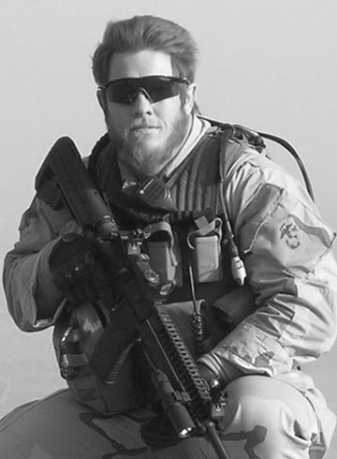 BR entered into the SEAL teams keeping his pain a secret, he successfully served our country through multiple deployments, both domestically and in the Middle East. BR depend on his own capabilities until finally, a bad parachuting accident broke him physically and spiritually. This story of surrender is heartbreaking, yet also provides a unique message of hope for us all. Growing up, LN was athletic, popular, smart, and he never had a problem attracting girls. It was his desire to go to college, followed by a successful career in the military. However, after nearly a decade of war, six deployments to Iraq, three deployments to Afghanistan, and a slew of other operations in-between, LN developed extreme anger issues (black rage) and a hatred for humanity settled in. During this time, LN also experienced many unanticipated life hardships, such as divorce and a custody battle. Midway through one deployment, these adversities began to sink in, and soon LN was battling feelings of depression, sadness, hopelessness, and apathy; thoughts of suicide consumed him. LN was helpless, jobless, and hopeless—until he finally found his peace in God. 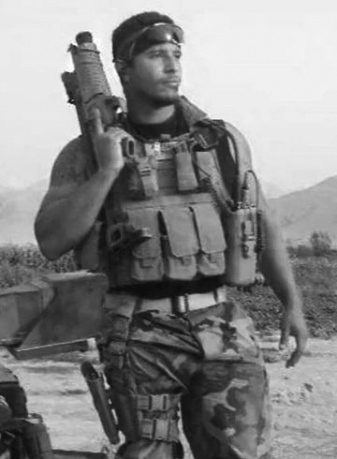 KA - Army Special Forces - Raised in poverty, KA joined the Army at age 17, first deploying to Iraq in 2003. The fierce battles he engaged in with his company ultimately resulted in their unit earning the valorous unit award and a joint meritorious unit award. After sustaining multiple injuries, he returned home and underwent surgery. Just two months later KA re-deployed to Iraq to finish another year long rotation. During his 3rd deployment, he was wounded by an IED. Through multiple injuries, surgeries and near-death experiences, KA survived. 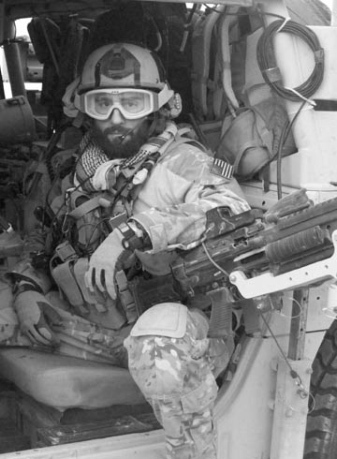 While still connected to life support machines, influenced by a close friend honoring fallen soldiers, he determined to become a Special Forces Operator. After graduating the difficult 1.5-3 year pipeline in only 11 months, KA deployed back to the Middle East for additional combat tours. After several deployments with Special Forces, he was again gravely wounded and returned home to recover. Severe PTSD, anger issues, sadness from seeing friends die and wounded, caused this soldier to turn to drinking and women to try and escape his pain. 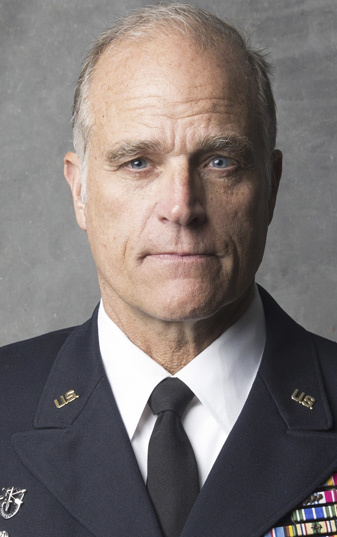 Taking his anger home resulted in loss of rank, loss of rapport with senior leadership, and his decision to separate from the military, allowing his dream of being a career soldier to die after ten years of dedicated service. Every mission AB has flown, God has been by her side. She's always known that it is His power which drives her to give 110% on the battlefield regardless of the cost. AB is no ordinary combat flyer. 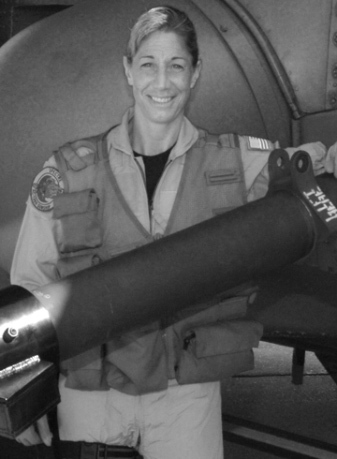 She's the first female AC-130H Spectre Gunship Navigator in her community and the first to fire rounds in combat operations. Adding to these accomplishments, AB's is also the first female to earn the Air Force's Combat Action Medal. Still through success after success, she yearned for a deeper connection with God. AB realized that God is Hope...and yet in order to truly possess Him she had to Surrender. The most elite operators in the world are hunting down the most dangerous terrorist alive. Bullets are blazing, blood is spilling, and operators are falling. TY looks down and he’s been shot. Totally calm, he keeps fighting until all threats are executed. TY has no fear, no worries, and no concern. Why? Because God is on his side. With every door he kicks down, and every room he raids, TY knows God is there protecting Him. TY is no ordinary guy. In fact, he’s completely different from other operators. TY grew up in a Christian home, accepting Christ at a young age. Like many healthy red-blooded American boys, he felt a sense of duty to serve his country. After joining the army in 1995, he volunteered for some of the most challenging assignments the army offered. Throughout his 20-year career, TY always relied on the Lord for wisdom, guidance, and strength. 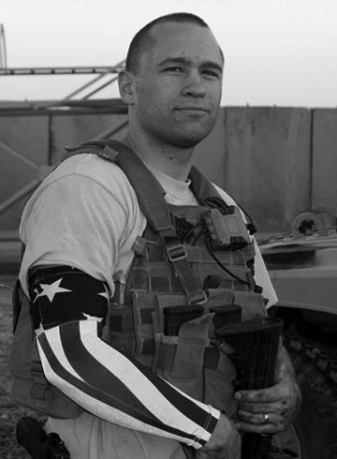 This was never more important than during his multiple deployments to Afghanistan and Iraq, where he participated in hundreds of missions conducting operations in numerous capacities. Some missions went as planned, others seemed to go wrong from the start, ending with some of his teammates wounded or killed. Earning multiple Bronze Stars with Valor and a Purple Heart, TY was a witness to the very worst and violent acts of mankind. However, through the chaos, he was able to retain an ominous sense of peace.  Director / Executive Producer: Dwight Thompson Jr.  Founder of New Revolution Entertainment and creator of multiple award-winning films such as Lost Boy (Harvest Ministries with Greg Laurie), Lost Boy – the Next Chapter (The Movie Guide), Hope For Hurting Hearts (WORD Entertainment), Changed Lives, and Caught Inside. 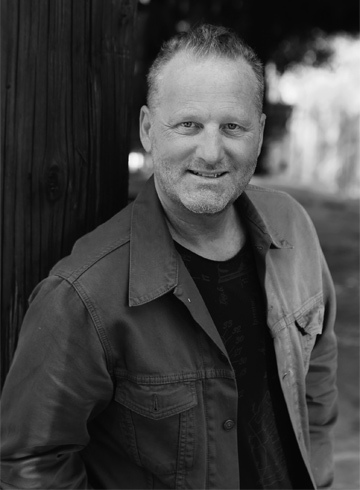 Dwight is also nationally known for producing Christian and inspirational projects with the Billy Graham Evangelistic Association and Campus Crusade for Christ with Bill Bright as well as his directing of live productions and concert events. He was recipient of the GMA Award for “Long Form Video of the Year” for Switchfoot, Live in San Diego. 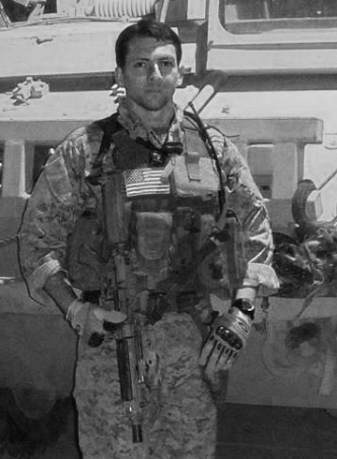 Lt Col F. Damon Friedman, former Marine, is a decorated active duty Combat Controller with the United States Air Force and Founder / President of SOF Missions. He holds a Master’s degree from the University of Oklahoma and is currently pursuing a Doctorate at Fuller Theological Seminary. 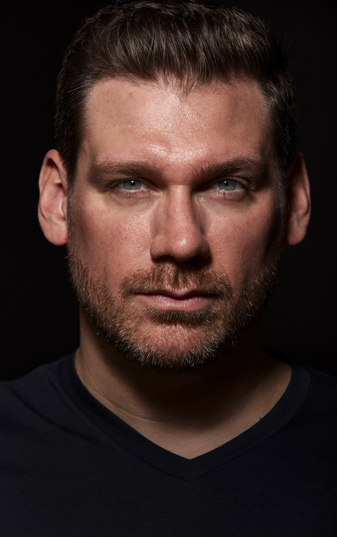 His working dissertation entitled “A Missions Blue Print: Critical Factors That Ignite A Missions Movement” fuels the continuing efforts of the SURRENDER film project. 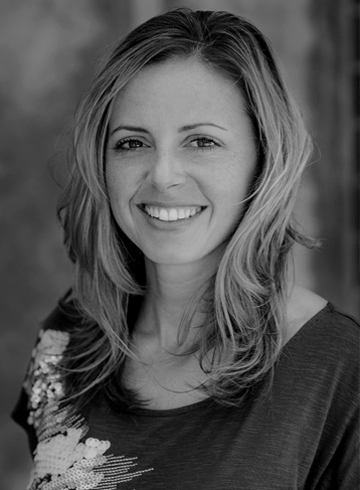 A native of Alaska, Dayna holds a Master’s Degree in Education from Liberty University and has taught elementary school for 8 years. She was an All-American NCAA Track and Field Athlete at Virginia Tech. She is currently the Vice-President of SOF Missions. Vice President of New Revolution Entertainment. Film - Television producer, creator and writer. Television personality hosting programs for the trinity broadcasting network, Kids Club, WWJD-TV and ReWind. Currently creating and authoring a children's book. 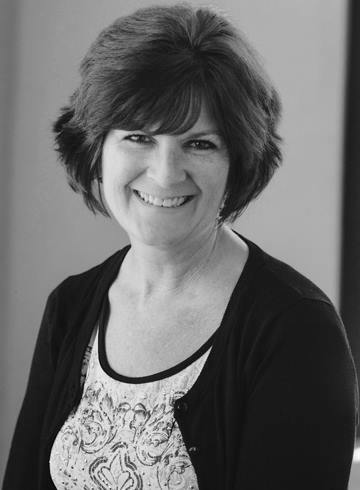 Patricia has nearly 30 years of marketing and communication experience including project management, graphic design, photography, marketing development, and film production. 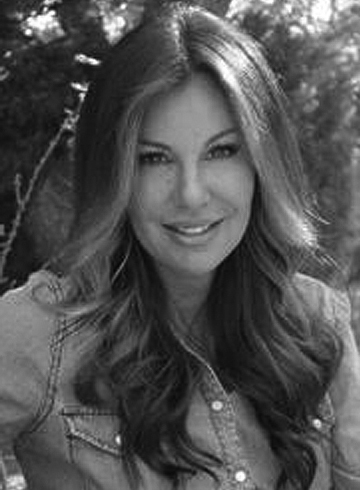 Patricia has also worked in media relations, managing a dynamic photography team for Harvest Christian Fellowship in Southern California. Sign up for behind the scenes content delivered to your inbox. Simply fill out the form below to connect with us.